Home > Uncategorized > Squatty Potty Adjustable 2.0, White Only $17.99 + Free Shipping From Amazon! 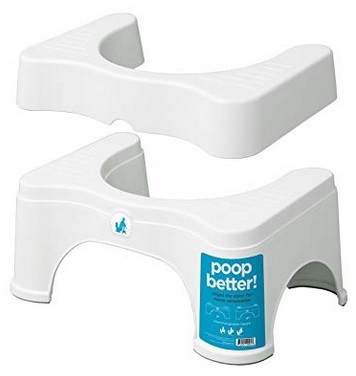 Squatty Potty Adjustable 2.0, White Only $17.99 + Free Shipping From Amazon! December 1, 2018 Comments Off on Squatty Potty Adjustable 2.0, White Only $17.99 + Free Shipping From Amazon! Amazon has the Squatty Potty Adjustable 2.0, White marked down to only $17.99 + Free shipping (dropped form $29.99)! Amazon Deal Of The Day: Save 40% Off Select Indoor Arcade Games! STIGA Advantage Competition-Ready Indoor Table Tennis Table 95% Preassembled Out of the Box with Easy Attach and Remove Net Only $209.99 + Free Shipping (dropped form $349.99)!